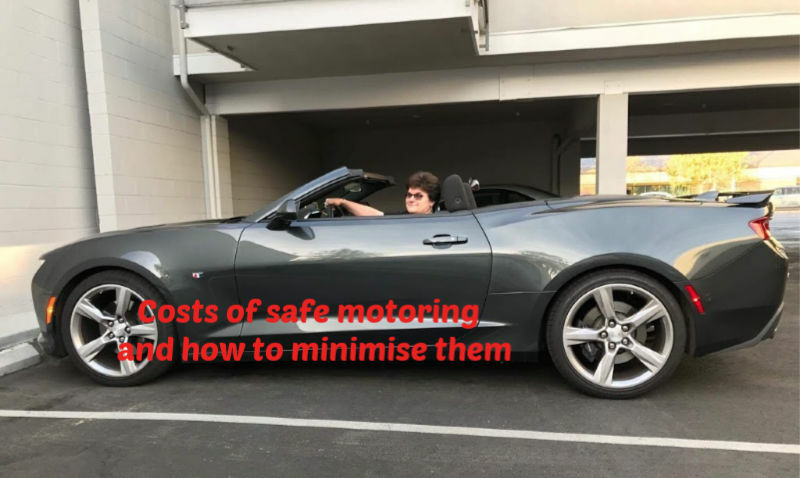 Let’s talk about the important and costs of safe motoring. Safe motoring is of utmost importance for you and the other people on the road. You see? I want to talk to you about the importance and costs of safe motoring not only, and not simply, because we co-own a MOT and car service garage. One of the ways to ensure that your car is roadworthy and safe to drive is to follow the government requirement to have it undergo a MOT test three years after it is initial registration and every year after that. Still, a recent study found that over half of the approached motorists (53%) didn’t know when their MOT is due and 16% saying they have put off fixing faults with their vehicles until their next scheduled service. So, how important do you think it is to talk about the costs of safe motoring? How much does MOT cost? MOT (Ministry of Transport) test ensures that your vehicle is roadworthy. This is required three years after the initial registration of a vehicle and every year after that. Before you ask, no you can’t drive without a valid MOT certificate (except to the MOT and have proof it has been booked). Also, there is no grace period for MOT – it should be done when it is due. Thinking about it, I fall in the group of people who don’t know when their MOT is due. It is not only because our car is two years old or because John normally deals with this stuff. I’m the kind of person who doesn’t remember things like that. If you are like me, don’t panic – there are handy MOT checkers. I used one and know that our car is due for a MOT on 28 February 2019. Prices that garages charge for a MOT vary greatly depending on the type of vehicle and the garage price structure. However, the maximum you should expect to pay for a car is £54.85 now; for a motorcycle it is £29.65. Worth noting that the large costs of safe motoring are not usually the fee you can expect to pay for the MOT test itself; these are for the service and maintenance necessary for your car to be deemed road worthy. Keeping your vehicle road worthy, particularly if you are driving an older car, can be costly. Here are three easy ways in which you can keep these costs down; or at least make sure that you don’t fail your MOT test because of something you could have attended to before the test. Deals are all the rage on most money blogs. When it comes to costs of MOT test, I’d preach caution. Please make sure that by looking for the lowest price of MOT test you are not compromising the robustness of the test itself – MOT tests are a government requirement for a good reason and it is in your interest to be safe. When you look for a deal, make sure that it is authentic. Like the deal currently offered by Halfords Autocentre. Halfords Autocentre is offering a FREE MOT to any customers who shop in Halfords retail branches. Any product (except 5 pence plastic bag) bought in a Halfords store between now and the 14th October 2018 entitles the buyer to a FREE MOT, which they have 13 months to redeem. This offer of free MOT from Halfords Autocentres is a genuine and a genuinely good MOT test deal. Check lightening and signalling. I’ll have you know that lightening and signalling faults account for 19% of MOT test failure. So save yourself some time and money and check there are no light bulbs for changing and all is as it should be. Check your windscreen wipers. Again, simple enough and well worth doing. Blow your horn. I mean literally make sure that the horn is working. If you have prayer beads hanging off your mirror and dancing Elvis dolls on your dash board clear them out. And while you are at it, make sure that there is nothing that obstructs your vision of the road – hard to believe but 7% of MOT failures are because of obstructing object. Motoring is generally costly, and it is highly commendable to take steps to lower these costs. You can try buying used cars, cycling more or using public transport (where possible). Reducing the costs of safe motoring, e.g. MOT test, maintenance and regular service, should be tackled with care: it is too important to allow compromise of quality.